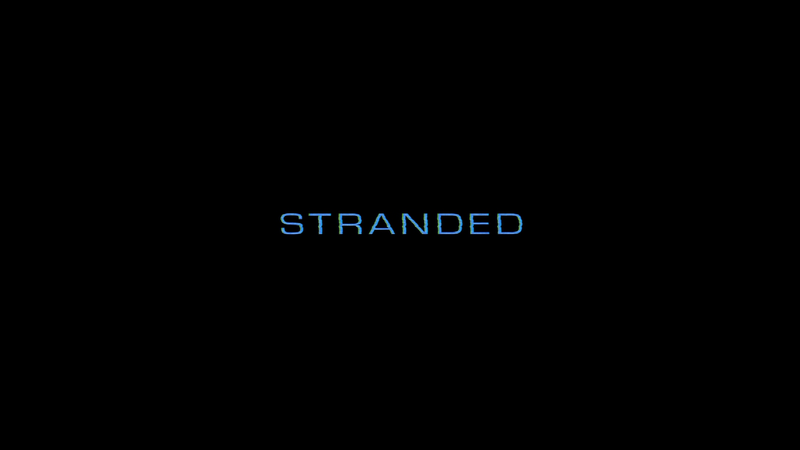 Stranded is a half-assed sci-fi/horror flick culled together from numerous other, often better, films. The cast for the most part are phoning in their performances knowing exactly what kind of movie this is but giving credit where it’s due, make the most of it during some scenes. The Blu-ray released by RLJ is pretty thin with features but the audio and video transfers were pretty good. 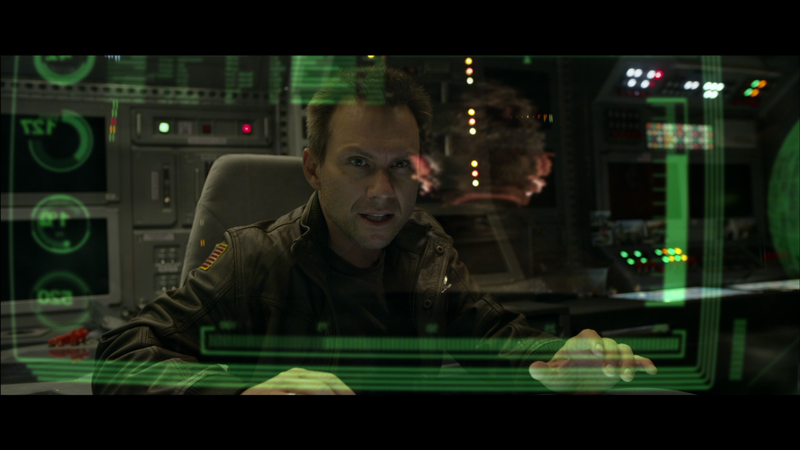 Plot Outline: When the isolated U.S. military moon base is bombarded by a rogue meteor storm, Colonel Gerard Brauchman (CHRISTIAN SLATER) and his small crew are cut off from Earth with their life support failing. Before long, the crew discovers the meteors harbor alien spores… and they’re replicating. Now a vicious, shape-shifting predatory life-form is loose inside the crippled facility, picking off victims one by one. 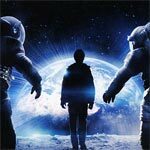 Locked in a desperate fight for survival, Brauchman and the terrified remaining astronauts have on final mission… keep the creature from escaping the moon and finding a new food supply on Earth. 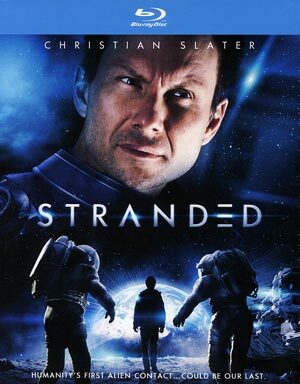 Quick Hit Review: Stranded is your typical cheap direct-to-video sci-fi flick which heavily borrows from other, and often better, films. The acting is run-of-the-mill with Christian Slater mailing it in no doubt taking the role in between his TV projects he stars in every year. There’s really not a whole lot in this movie that works but I’ll give a little credit for some of the creature effects and the visual effects, albeit substandard, isn’t awful. This release comes with a thin, cheap slip cover which can easily be damaged. The Making of Stranded (14:53; HD) – This is your typical EPK featurette where the cast and crew give their thoughts on the project set against scenes from the movie and behind-the-scenes footage. It’s nothing overly informative. Life on the Moon: The FX of Stranded (6:16; HD) covers the visual, make-up and creature-effects aspects of the project. RLJ/Image releases Stranded on Blu-ray presented with a 2.35 widescreen aspect ratio and a 1080p high-definition transfer. Despite this being a low budget affair, the detail levels were actually well done and the colors, when there’s light, seemed well balanced. The blacks look stark and showed no signs of artifacting or pixilation. The movie includes a nice 5.1 DTS-HD Master Audio track showing off a wide range from the subtle, ambient noises to dialogue levels which came across with clarity to the action/horror oriented aspects which help round out the track and the other channels. Overall, Stranded is a half-assed sci-fi/horror flick culled together from numerous other, often better, films. The cast for the most part are phoning in their performances knowing exactly what kind of movie this is but giving credit where it’s due, make the most of it during some scenes. The Blu-ray released by RLJ is pretty thin with features but the audio and video transfers were pretty good.